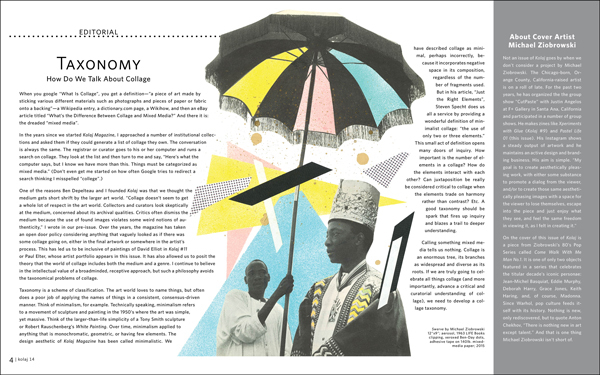 Editorial: How Do We Talk About Collage? 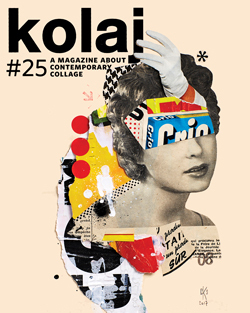 Ric Kasini Kadour reflects on the issue and explores the taxonomy of collage. 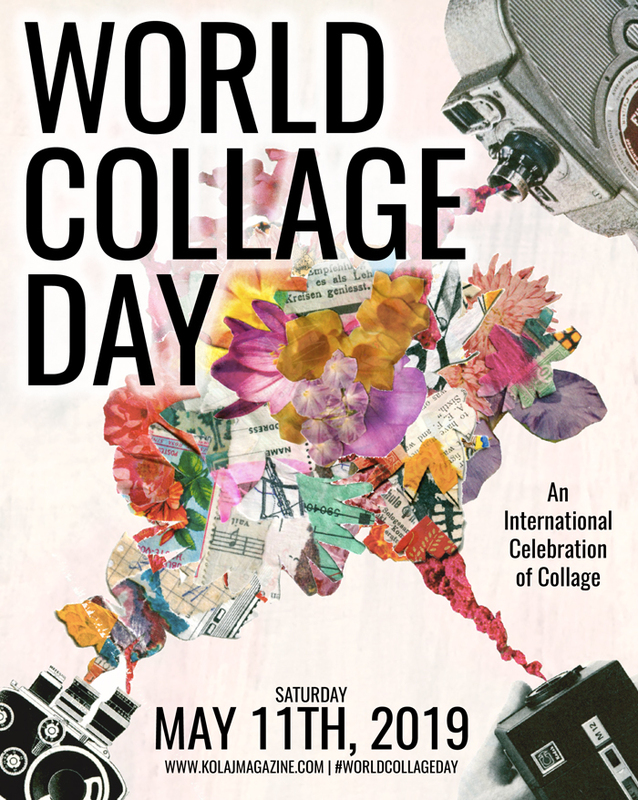 When you google “What Is Collage”, you get a definition—”a piece of art made by sticking various different materials such as photographs and pieces of paper or fabric onto a backing”—a Wikipedia entry, a dictionary.com page, a Wikihow, and then an eBay article titled “What’s the Difference Between Collage and Mixed Media?” And there it is: the dreaded “mixed media”. Collage is an enormous tree, its branches as widespread and diverse as its roots. 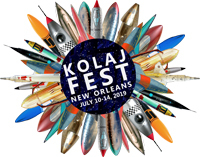 One of the reasons Ben Depelteau and I founded Kolaj was that we thought the medium gets short shrift by the larger art world. “Collage doesn’t seem to get a whole lot of respect in the art world. Collectors and curators look skeptically at the medium, concerned about its archival qualities. Critics often dismiss the medium because the use of found images violates some weird notions of authenticity,” I wrote in our pre-issue. Over the years, the magazine has taken an open door policy considering anything that vaguely looked as if there was some collage going on, either in the final artwork or somewhere in the artist’s process. This has led us to be inclusive of paintings of David Elliot in Kolaj #11 or Paul Elter, whose artist portfolio appears in this issue. It has also allowed us to posit the theory that the world of collage includes both the medium and a genre. I continue to believe in the intellectual value of a broadminded, receptive approach, but such a philosophy avoids the taxonomical problems of collage. If we are truly going to celebrate all things collage, we need to develop a collage taxonomy. Taxonomy is a scheme of classification. The art world loves to name things, but often does a poor job of applying the names of things in a consistent, consensus-driven manner. Think of minimalism, for example. Technically speaking, minimalism refers to a movement of sculpture and painting in the 1950’s where the art was simple, yet massive. Think of the larger-than-life simplicity of a Tony Smith sculpture or Robert Rauschenberg’s White Painting. Over time, minimalism applied to anything that is monochromatic, geometric, or having few elements. 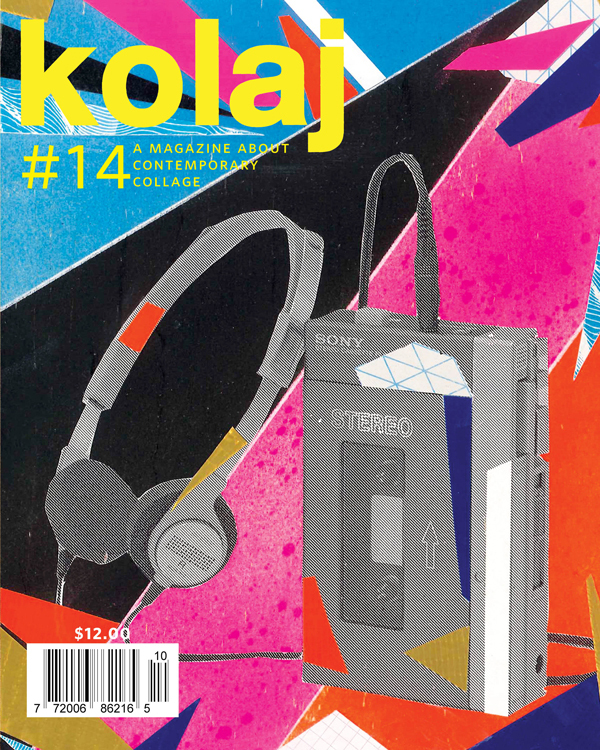 The design aesthetic of Kolaj Magazine has been called minimalistic. We have described collage as minimal, perhaps incorrectly, because it incorporates negative space in its composition, regardless of the number of fragments used. But in his article, “Just the Right Elements”, Steven Specht does us all a service by providing a wonderful definition of minimalist collage: “the use of only two or three elements.” This small act of definition opens many doors of inquiry. How important is the number of elements in a collage? How do the elements interact with each other? Can juxtaposition be really be considered critical to collage when the elements trade on harmony rather than contrast? Etc. A good taxonomy should be spark that fires up inquiry and blazes a trail to deeper understanding. Calling something mixed media tells us nothing. Collage is an enormous tree, its branches as widespread and diverse as its roots. If we are truly going to celebrate all things collage (and more importantly, advance a critical and curatorial understanding of collage), we need to develop a collage taxonomy.